Whenever there is a need to make changes in the authorship of a manuscript or a published article, the changes will be implemented according to COPE specification. Only corresponding authors can make request for a change in authorship. Request should be made to the editor using the Changes in Authorship Form. Authors should read the “Instruction for Authors” on the journal’s page before making a submission. Manuscript should be prepared according to the style and specifications of the journal’s policy. A submitted manuscript is a confidential material. SOE Journals will not disclose submitted manuscript to anyone except individuals who partake in the processing and preparation of the manuscript for publication (if accepted). These individuals include editorial staff, corresponding authors, potential reviewers, actual reviewers, and editors. However, in suspected cases of misconduct, a manuscript may be revealed to members of Academic Journals’ ethics committee and institutions/organizations that may require it for the resolution of the misconduct. SOE Journals shall follow the appropriate COPE flowcharts wherever necessary. The text of every submitted manuscript is checked using the Content Tracking mode in iThenticate/Viper. The Content Tracking mode ensures that manuscripts with an overall low percentage similarity (but may have a higher similarity from a single source) are not overlooked. The acceptable limit for similarity of text from a single source is 5%. If the similarity level is above 5%, the manuscript is returned to the author for paraphrasing the text and citing the original source of the copied material. 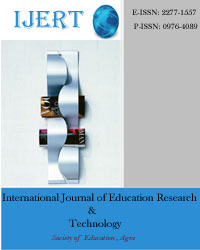 Editors/Authors who contribute in a SOE’s Journal/eBook will transfer copyright to their work to Society of Education. 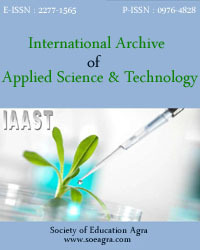 Submission of a manuscript to the respective journals implies that all editors/authors have read and agreed to the content of the copyright letter. The review process is an important aspect of the publication process of an article. It helps an editor in making decision on an article and also enables the author to improve the manuscript. 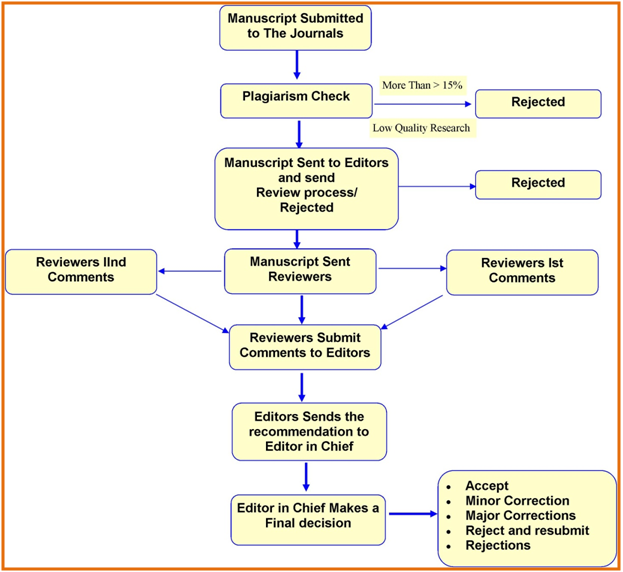 SOE Journals operates a double blind review process. Author(s) identity is removed from the manuscript and shielded from the reviewers during the review process. The reviewer is left with only the manuscript without any information that might enable him/her uncovers the identity of the author(s). Information removed includes the author(s) name, address/affiliation, country, phone/fax and email. Any information in the Acknowledgement and Declaration of Conflict of Interest that may lead to the uncovering of the identity of the author is also removed from the manuscript prior to sending it to reviewers. A Review Certificate is issued to reviewers after the review of the manuscript. The review reports are sent to the authors. However, reviewers’ identity is removed from the review reports. The author(s) is left with only the review reports/recommendation without any information that might enable him/her uncovers the identity of the reviewers. A minimum of two review reports are required per manuscript. Only an editor has the authority to “Accept” or “Reject” a manuscript. If a manuscript is “Accepted”, an Acceptance Certificate is issued to the author(s) and the manuscripts are processed for publication. 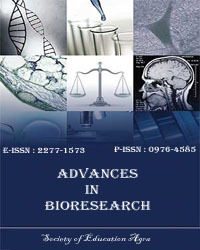 If a manuscript is rejected, the authors are informed of the decision and no further processing is done on the manuscript. If a manuscript requires improvement, it is sent to the author(s) with the editor’s recommendation for further revision. The editor makes a final decision on the revised to “Accept” or “Reject” the manuscript.